Four Canadian soldiers and Calgary Herald reporter Michelle Lang were killed in a bomb blast Wednesday in Afghanistan. Five Canadians — four soldiers and a Calgary Herald reporter — were killed in a bomb blast Wednesday in Afghanistan. Brig.-Gen. Daniel Ménard said a Canadian civilian was also wounded in the attack at about 4 p.m. local time. Ménard said the group's armoured vehicle was struck by an improvised explosive device in the city of Kandahar. The attack came during a community security patrol to gather information on the pattern of life and maintain security in the area. "The journalist was travelling with them to tell the story of what Canada's soldiers are doing in Afghanistan," he said. Ménard said the military is notifying the families of the soldiers and more information will be provided once this has been completed. "On behalf of all Canadians, the prime minister offers his most sincere condolences to the loved ones of those who lost their lives in Afghanistan earlier today," the Prime Minister's Office said in a statement. "While not regularly the subject of news, those journalists who risk their lives reporting alongside the men and women of the Canadian Forces in one of the most dangerous regions in the world should not be forgotten," said spokesman Dimitri Soudas. The journalist was identified as Michelle Lang of the Calgary Herald. 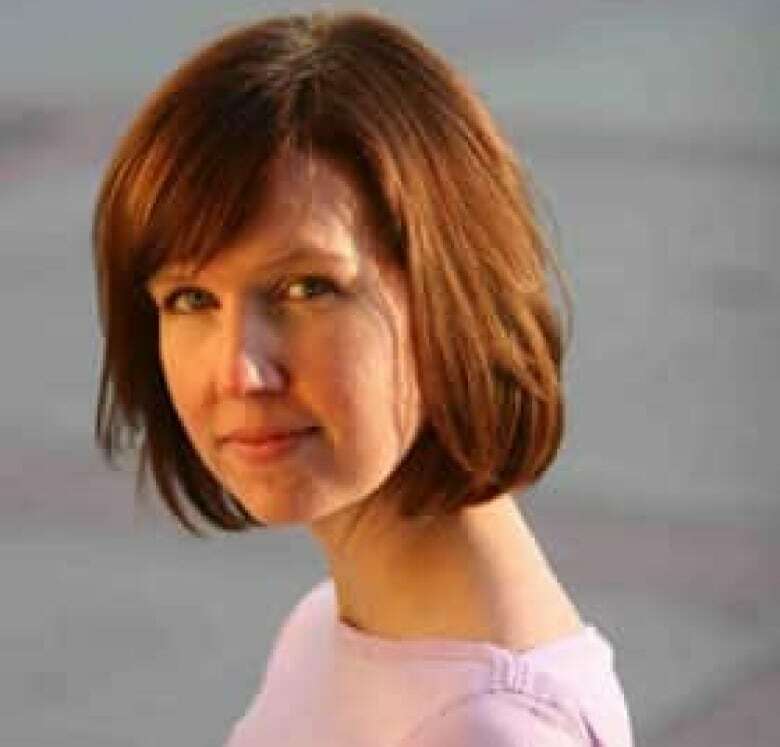 Lang, 34, grew up in Vancouver and was a respected health reporter for the Herald, winning a National Newspaper Award in 2008 for best beat reporting. She had also worked in Regina, Moose Jaw and Prince George. Friends said Lang, who was recently engaged and planned to marry next summer, was bright with a sharp tongue and quick wit. "She came across as sweet and quiet — but could bring a room down with laughter with one observation," one friend said. "She was a fabulous friend: kind, loyal, thoughtful. No number of adjectives can describe her talent, her charm or the hole she leaves in the lives of those close to her." CBC reporter James Murray, who is stationed in Afghanistan, said: "She was the kind of journalist you would want to have here. She was kind and decent and curious. "She'd been in Afghanistan for just a few weeks and she had spent a lot of that time in the field, bravely going and putting on a helmet and body armour and going where the Canadian soldiers go, seeing what they did, giving a first-hand account of the Canadian mission in Afghanistan. "And reporting in that way has cost her her life." Lorne Motley, the Calgary Herald's editor in chief, said Lang's death has devastated her colleagues at the newspaper. "This has been a really tough day here, probably the blackest day I can remember in the recent history of the Calgary Herald," Motley said. "Above her journalism she was kind-hearted and warm and great. Just one of those people you can love. She was professionally at the top of her craft." Canadian Brig.-Gen. Daniel Ménard, top commander in Kandahar, announces the deaths of four soldiers and a Calgary Herald reporter. ((Colin Perkel/Canadian Press) )The huge blast occurred just 1,500 metres from the Dand district centre, which Canadian soldiers helped rebuild after a suicide bombing in April. Witnesses described panic among local residents, as Canadian soldiers rushed to secure the area and airlift the blast victims to medical care. Nevertheless, Ménard declared that Dand remained a "safe area" and expressed confidence that this was an isolated incident. 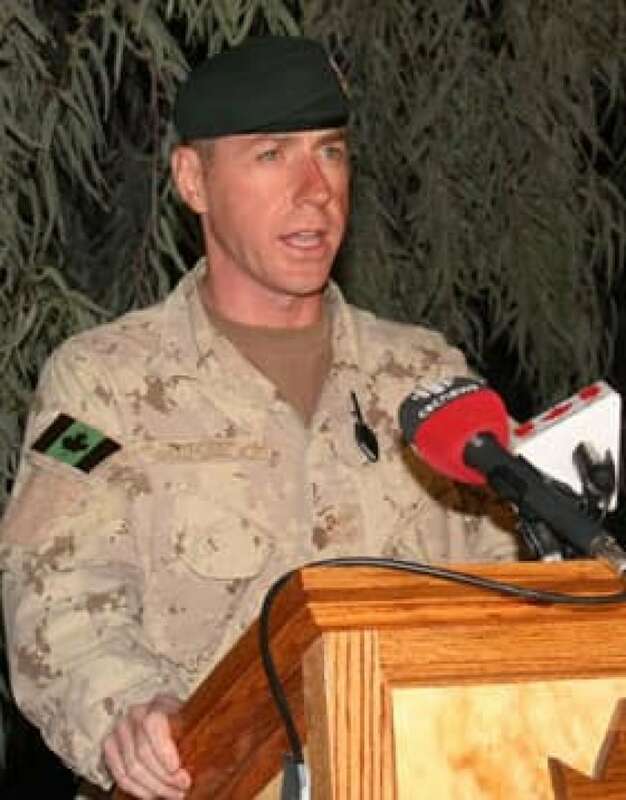 The deaths of the five Canadians came a week after Lt. Andrew Nuttall was killed by an explosive device near the village of Nakhonay, about 25 kilometres southwest of Kandahar city. It was the worst single day for Canadian casualties in Afghanistan since six soldiers were killed on July 4, 2007, when their large armoured vehicle struck a roadside bomb about 20 kilometres southwest of Kandahar. Since 2002, when Canada started sending soldiers to Afghanistan, 138 of them have been killed, as well as four Canadian civilians. Lang was the first Canadian journalist killed while covering the conflict. Seven journalists from other countries have also died. The attack happened the same day eight Americans were killed in an attack on a military base in the eastern province of Khost.